We hope that you enjoy Coin Tasker, and if you do, we want to offer you a free bonus for helping spread the word about who we are and keeping our reputation as the #1 online bitcoin earning community. For a limited time, we are offering a 50? 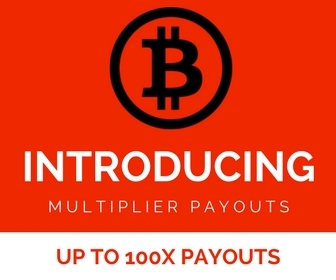 ?BTC bonus for each review you leave on the following sites. We do not require 5 star reviews in order for you to earn your reward, but obviously we love it if you would. We want you to leave honest feedback and hope that you will email us?and allow us the chance to fix it first if you have any problems. In order to receive your bonus you will still need to email us?or tag us with @coin-tasker in a status update with a link to?your review and the username you published under. Please tell us which website you wrote a review on, what your username is on the review site, and what your Coin Tasker username is as well. Once we verify your review, you will have your bonus promptly credited to your account. Please note, only verified reviews that are published will receive credit. Download The Wheel of Bitcoin Android app and use the feedback option to rate us on Google Play within the app to get a 50?Bit bonus! You will need to email us or tag us in an update with your Google play username to receive your bonus. Download the VidyBit?Android app and use the feedback option to rate us on Google Play within the app to get a 50?Bit bonus! You will need to email us or tag us in an update with your Google play username to receive your bonus.